OAO NOVATEK announced the completion of a deal by Yamal development (a 50/50 Joint Venture between OAO NOVATEK and OAO GazpromNeft) to acquire a 60% equity stake in Artic Russia B.V. from the Italian energy company, ENI. Artic Russia B.V. owns a 49% equity stake in the SeverEnergia Joint Venture. 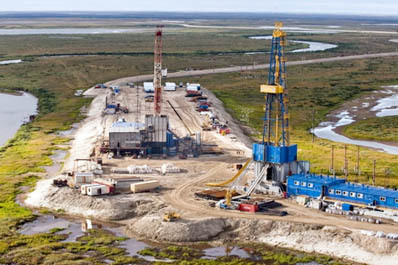 In addition, on 27 December 2013, NOVATEK and OAO Rosneft completed an asset swap, whereby NOVATEK's 51% stake in Sibneftegas was swapped for Rosneft's 40% stake in Artic Russia B.V. Following the completion of the above transactions, NOVATEK's effective share in SeverEnergia increased to 59.8%. Chairman of the Management Board of NOVATEK, Leonid V. Mikhelson commented: 'SeverEnergia has significant potential for increasing natural gas, gas condensate and crude oil production upon completing the joint venture's field development. The Samburgskoye field is currently the only producing field of this Joint Venture, but we plan to commence commercial production in 2014 at two other large fields, Urengoyskoye and Yaro-Yakhinskoe, which contain a high condensate mix in the natural gas stream'.